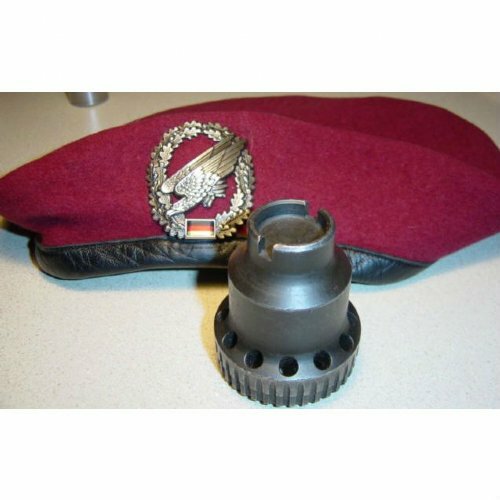 MG3 blank firing adapter (BFA). This is the easiest to use MG BFA. Replaces the standard M42/MG3 muzzle cone and booster. This one piece design is stronger and more idiot proof then previous versions. Surplus VG condition in perfect working order. Original German army surplus.